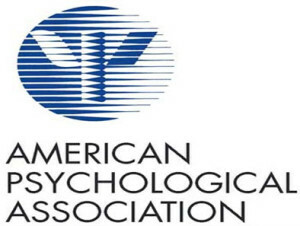 The American Psychological Association is the biggest and leading scientific and professional organization indicating psychology in the United States of America. It is the world’s largest association for the psychologists and it is comprised of members around 1, 34,000 researchers, and clinicians, students of psychology, professors and consultants. The APA was formed with a mission to improve the creation, announcement, application of the knowledge of the psychology to the people and the society thereby improving the lives of the people. The APA is situated in Washington, DC and it gives the membership not only to the clinicians or scientists but also to the educators and students of the psychology. The APA mission is to improve the people’s lives and to benefit the society by improving the creation, communication and application of the knowledge of the psychology. The APA aims to advance the psychology as a science, a career and as resources of promoting health, learning and human welfare. The ways that they follow to fulfill is the missions are by encouraging the growth of the psychology, improving the ways of psychology research, establishing standards that are professional for the psychologists and escalating the distribution of the psychological knowledge and investigating methods. The APA association also insist that the “psychologist” is a professional degree and according to the APA the individual must get a doctoral degree in psychology from the university or professional school in order to be called as Psychologist. The association also established a unique style and series of rules are designed to support the communication of the information in sciences. This APA style with a set of rules is used not only in the psychology but also in sociology and education. The American Psychological Association also recognized APA Style, with a set of rules designed to aid in the communication of information in the social sciences. These writing rules can be found in Publication manual of the APA and manual gives detailed information about organizing professional journal articles and how to list references and how to locate the sources. The APA was founded in the year 1892 with only 31 members and after the Second World War it grew quickly and now, it have more than 134,000 members and around 54 divisions in the sub-fields of the psychology. The subdivisions of psychology are organized by the members of the APA in which some of the members focus on the sub disciplines of psychology which may be experimental, clinical or social and some others focus on the newsworthy areas such as aging or trauma. APA members and non-members can also apply for the job to join one or more than one division with their own eligibility criteria and duties. In addition each and every division has its own officers, publications, meetings and many others. There are some around 54 divisions and here are some mentioned below. They are Society for General Psychology, Educational Psychology, School psychology, psychotherapy, Behavioral analysis, health psychology and many others.